Today, we meet Mrs. Brown! 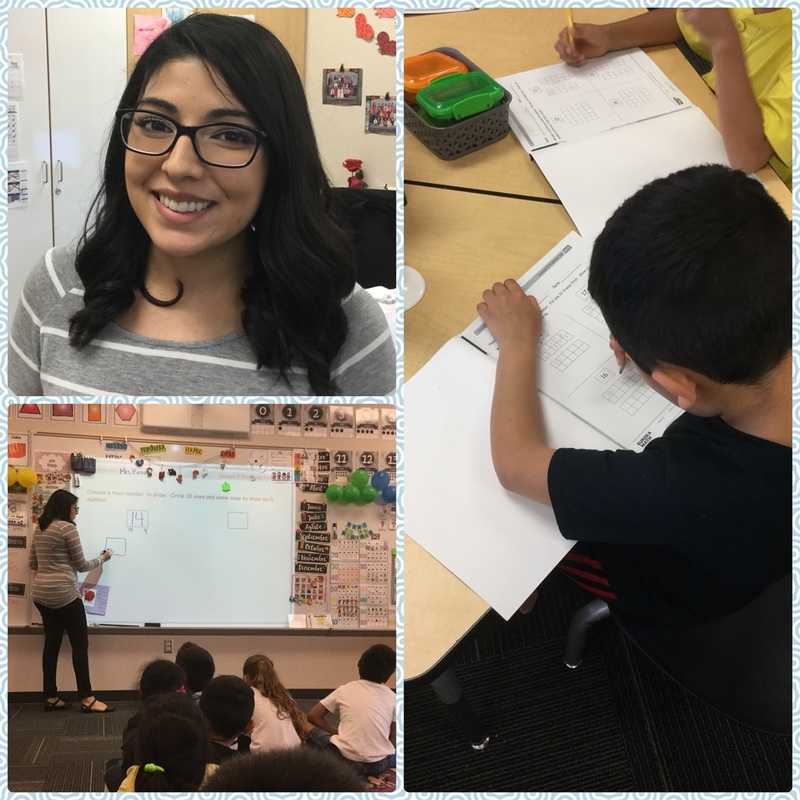 Mrs. Brown is the Davis Elementary Kindergarten Bilingual Program teacher! When she's not teaching, she enjoys barbecuing with her family, walking her dogs and playing board games. The reason she became a teacher was to instill a sense of self-worth and self-motivation into students. She says, "This is something one of my own teachers taught me at a young age and it has been the best lesson I could have ever learned! Watching my students develop into self-motivated, responsible tiny humans is why I enjoy teaching so much. Their growth in just one year is unbelievable!" Mrs. Brown believes the most important thing parents can do to help their children be ready for kindergarten is work on their child's social and emotional needs. Some main points to cover would be sharing, talking about feelings, talking through issues, and teaching them how to express and communicate their needs. In this picture, Mrs. Brown's class is working on mathematics.